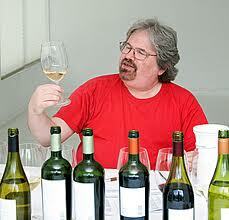 Robert Parker has announced that Spain critic Jay Miller will be leaving The Wine Advocate. Miller’s departure comes as the scandal known as “Murciagate” continues to gather pace, with suggestions by Parker that legal action against “the bloggers” who have been involved may be imminent. “Some may believe my stepping down is in response to my critics,” Miller (right) said, in reference to the scandal. “Nothing could be further from the truth. I have felt constrained in responding while still on The Wine Advocate staff. While the office has defended my actions, justifiably, now it is time for me to speak for myself. “In what format I will do that remains to be seen. This much is clear, I have never accepted (or requested) fees for visiting wine regions or wineries,” he added.